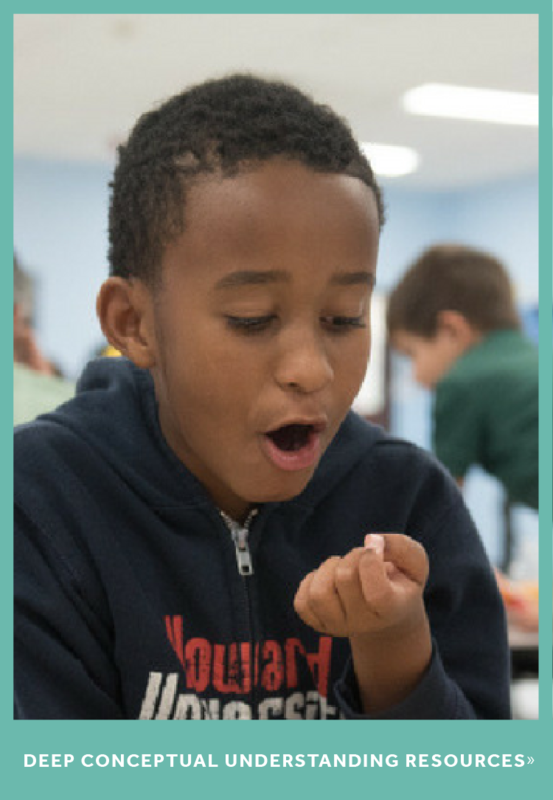 Manipulatives are any objects that students interact with in order to learn. Math educators have always relied on physical manipulatives to teach concepts to students such as pie wedges to showcase fractions, fake currency to explore the value of money, or blocks to build number sense. With education technology becoming more common in classrooms, a new set of digital manipulatives is being used to facilitate mathematical understanding. Digital representations that can be slid, flipped, turned, and dropped as if it were a real 3-dimensional object are being leveraged to deepen the conceptual understanding of math. Research suggests that physical manipulatives are better to learn with at the beginning, but that digital manipulatives are better for transferability (Tran, Smith, and Buschkuehl, 2017). 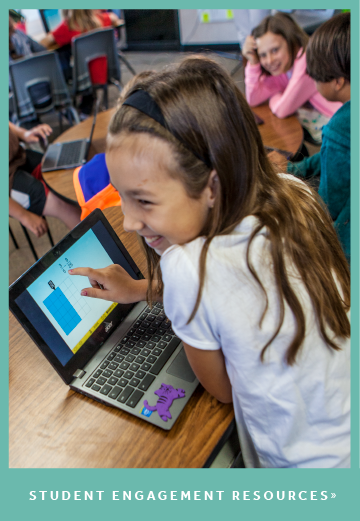 Therefore, by connecting physical with digital manipulatives, students develop a stronger conceptual understanding through the variety of teaching techniques being presented to them. Dina O’Brien, an elementary Math Specialist at James Madison Primary and Intermediate Schools in New Jersey, works with a diverse mix of students from across different grade levels, backgrounds, and needs. As a result, she relies on a combination of physical and digital manipulatives to teach math concepts. The variety in her teaching techniques is key for her struggling learners. Ms. O'Brien's student uses blocks as physical manipulatives to solve a word problem. 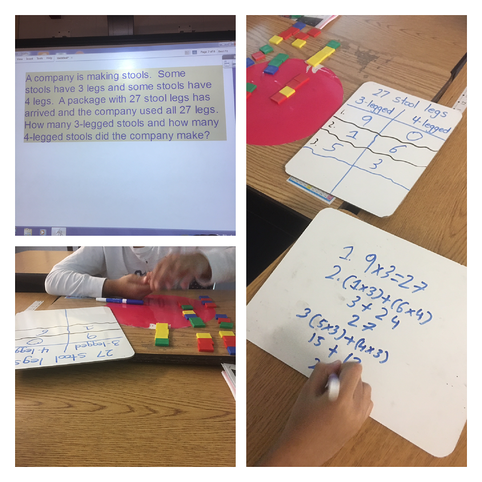 Besides utilizing a range of concrete manipulatives as a core component in her lessons, Ms. O'Brien leverages ST Math as a digital manipulative and a teaching and assessment tool for her "Tier 2" and "Tier 3" intervention students. It allows her to gauge their understanding of math concepts to tailor her student’s specific intervention needs. Ms. O'Brien appreciates how ST Math provides personalized learning paths by adapting to each student’s needs so she can target different math skills. The program's immediate, informative feedback feature makes a big impact on student learning. This feedback offers an intrinsically motivating learning experience that shows students the mathematical consequences of each answer. Students are able to see why their solution was correct or incorrect allowing them to learn by doing. Ms. O'Brien has seen firsthand how ST Math’s virtual puzzles give students the same opportunity to make meaning and visualize math concepts as the result of their direct actions, just like any physical manipulative. A student in Ms. O'Brien’s class learning with ST Math. Although it is her first year using ST Math, Ms. O'Brien has already seen the impact it has made with her students. She notices that they are more engaged and motivated to learn math. In her classroom, Ms. O'Brien has a rule for students to never give up when presented with new challenges. She encourages them to share strategies with one another in order to stimulate conversations around math thinking. Experts call this, "academic discourse," which is also an important component of learning. 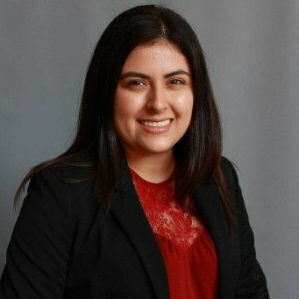 "Through the use of different teaching approaches, I hope to create learning opportunities for my students so that they have the ability to problem solve and come up with alternative methods to arrive to a solution. Because of this, I see my students help one another with different ST Math puzzles, not by telling each other the answers, but by sharing their new found knowledge. If they can teach a concept, it shows that they are understanding it,” says Ms. O'Brien. Download the Digital Manipulatives Toolkit for more on this topic!